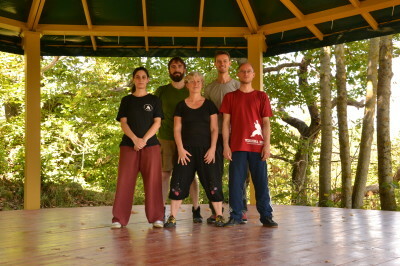 I would like to give some impressions of the PM-Taiji-Training camp that took place in Italy this September. From the 17th till the 22nd September 2018 we have had the joyful experience to live and train together in a beautiful Villa at the Bolsena lake in Italy. It is a place which is located around 100km north of the city of Rome.